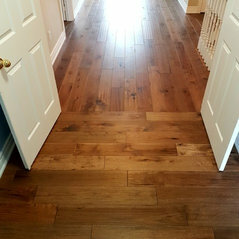 Wonder Woods Flooring is a family-owned and operated business since 2001. 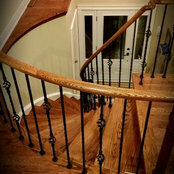 Originally from Brazil, our team of highly skilled trades people offer knowledge and expertise in hardwood, laminate, engineered flooring, staircases and finish carpentry. 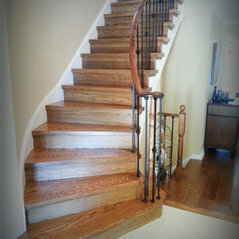 We love what we do, and pride ourselves in creating beautiful staircases and stunning hardwood floors. We are dedicated to providing the best product selection and value, facilitating our customers in creating the home of their dreams. Our commitment is complete customer satisfaction for all of our clients, from start to finish! Very responsive and great to deal with. Thales did an excellent job and we are very pleased with the quality and appearance of the work. 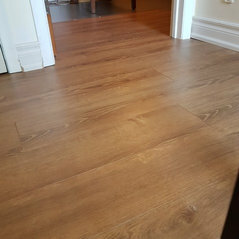 I would definitely recommend Wonder Woods Flooring to others. Commented: Kitchen flooring issueYour floors can be lightly buffed and varnished over if there are only light scratches on the finish. If that's done your floors would look brsnd new again.